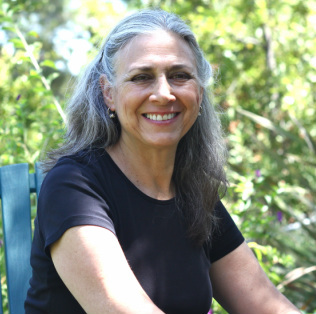 My name is Amy Weisberg and I have been teaching in the Los Angeles Unified School District for 39 years. I have been teaching at Topanga Elementary Charter School for 24 years. The Developmental Kindergarten Program, now officially part of the LAUSD Transitional Kindergarten Program, is very important and special to me. I love working with the youngest students and watching them grow and change during the year. I have taught Pre-K, Transitional Kindergarten, Kindergarten, 1st, 2nd, 3rd, 4th, 5th and 6th grade but Transitional Kindergarten and Kindergarten are my favorite. I have a B.A. degree in Sociology from UCSB and my Multiple Subjects teaching credential from CSUN, a Language Development Specialist credential and Master’s Degree in Education Administration with an Emphasis on Organizational Leadership. In the summer of 2010 I had the wonderful opportunity of being part of the California Reading and Literature Project Invitational Leadership at UCLA, Center X and am now a Teacher Leader with the Project. I have my own business, CompleteTeach (www.completeteach.com, Facebook.com/CompleteTeach) which is an educational business offering consulting, presenting and tutoring as well as a book for parents and children, How to Have the Best Super-Duper School Year Ever!. I have a monthly column in The Topanga Messenger. I was married for 34 years and my husband Gary passed away in April 2016. I have 3 daughters (and a son-in-law) age 34, 29 and 27 and a 2 year old granddaughter. My daughter Kimberly graduated from UCLA as a theater major and is now working as the Director of People Operations in the Technology, my daughter Nicole graduated UCSC as a music major and is a music producer, coordinator/supervisor, and my youngest daughter Danielle is a graduate of UCI and works in television. I hope this helps you to get to know me a little. I have experienced many of the challenges you are going through or will go through with your children and if I can be of any help, in any way, please let me know.